With public sector workers on strike across the country yesterday, somewhere between fifteen and thirty thousand strikers (depending on which media or official source you consult, as is ever the case with these things!) 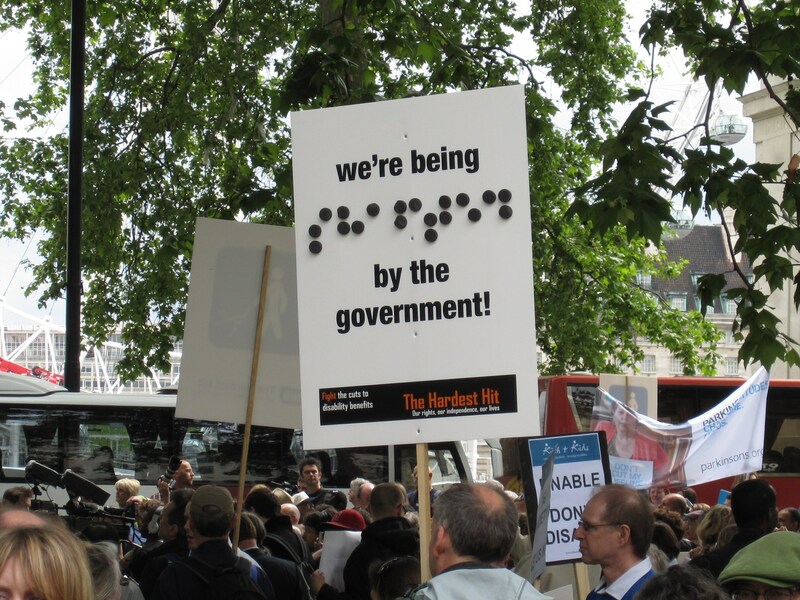 and their supporters attended a central London march and rally in opposition to government cuts to the sector and their pensions. This slideshow is just some of what I saw. Last Wednesday marked the first anniversary of the Conservative-Liberal Democrat coalition government, and to celebrate (ahem) this momentous date, thousands of disabled people and their supporters took to the streets of London in an angry and powerful protest against the government’s planned welfare and healthcare cuts; cuts which are set to have a disproportionately negative effect on those claiming disability benefits and/or those with particular social care needs.